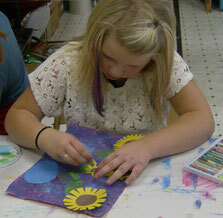 The Blackfoot Art Center offers "Arty" Day Camps and Workshops on district-wide no-school days, such as in-service days, end of trimester days, and seasonal school breaks. Day camps include planned arts & craft projects plus access to our Kids' Open Art Studio (including adult kids!) Participants can attend all day or partial days, depending upon the hours of the scheduled day camp or workshop. 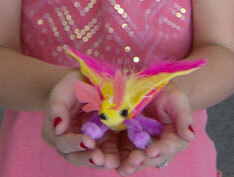 Arty Day Camp and Workshop information is always posted in advance on our Facebook page. You may download our Day Camp / Workshop registration form below or come in to the Art Center to register your child. Please register in advance. Space is limited! You can now sign up for day camps and workshops right here on our website! Just click on the current or upcoming ART Camp tab in the drop down menu above. Then, select your option(s) and click "Reserve Seat." Your payment will be processed through Paypal. Or if you prefer, you can print out the registration form below, fill it out, and bring it with you prior your child's camp or workshop. BAC ART CAMP is the place to be during School Breaks for kids who LOVE art! collage, assemblage, printmaking, and more! try new media and techniques - all while learning at their own pace and developing their own individual style.